Could the Tinker Board really challenge the Raspberry Pi 3? There's no arguing that the Raspberry Pi has become a massive worldwide success, resulting in a series of similar single-board computer rivals. 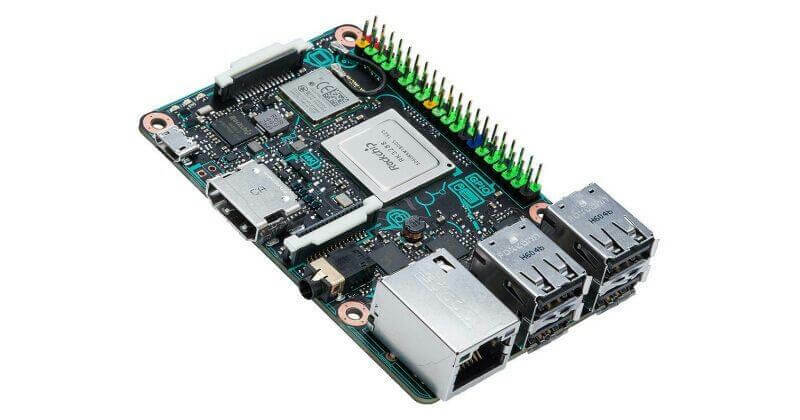 The latest is a device from Asus called the Tinker Board, which the company says has the Pi beat when it comes to power and features. Asus’ offering looks remarkably similar to the Raspberry Pi. The layout, particularly the location of the USB, HDMI, and Ethernet ports, is almost identical to its cheaper competitor, but there are some notable differences. Compared to the Raspberry Pi 3, the Tinker board boasts double the RAM (2 GB of LPDDR3 dual channel, compared to 1 GB LPDDR2), the latest generation of SDIO, and Gigabit Ethernet. The most interesting difference is with the processor. While the Tinker Board’s Rockchip RK3288 quad-core ARM Cortex-A17 is 32-bit - unlike the Pi 3's 64-bit Cortex-A53 chip - the 1.8Ghz clock speed is faster than the Pi’s 1.2Ghz . The extra horsepower means the Tinker Board supports 4K video and 192kHz/24-bit audio, making it a perfect choice for projects where the Pi 3’s capabilities don’t suffice. Speaking about why it decided to take on the Pi, Asus said: "Raspberry Pi has been in the market for so long, we're here to expand users' choices with more options. And this board has 4K support, higher SoC performance, faster Ethernet transmission, and flexibility for the memory size." On sale for £55 – around $68 – the Tinker is the more expensive board. And while it does come with more powerful components, whether it can truly challenge the Pi, which has sold over 10 million units, remains to be seen.